Intermittent fasting has become a popular way to keep the waistline under control, but could it also help you put in the best day of your workweek? The age-old practice of fasting has become recently popular thanks to regimes like the 5:2 diet, which involves drastic calorie restriction on certain days. There is evidence that restricting calories can have long-term health benefits, including improved mood and better quality of sleep. But tech workers in California have latched on to another positive side to the practice: they say that on the days that they are not eating, they get more done in the office. They experience an enhanced sense of mental agility and are better able to focus on their work. They call themselves WeFast, an online community of so-called biohackers who believe that by tinkering with the biology of the human body, we can lead healthier and more fulfilling lives. They practice different types of fasting, ranging from a 36-hour break from food to a more intense 60-hour fast. Others follow a regime that involves fasting for 23 hours every day. The idea is to synchronise the end of their fasts with a mid-week breakfast. A San Francisco start-up, Nootrobox, came up with the idea for WeFast. The company makes so-called smart drugs, also known as nootropics, which are legal compounds designed to improve cognitive function. Fasting is part of the company culture, and although it’s not compulsory, everyone in the team of 13 fasts on a Tuesday. On Wednesday morning they meet with other members of the 1,200-strong WeFast group, to break their fast. The breakfast, at a neighbourhood cafe, serves as a support group where members of the community share stories and tips about fasting. “The most compelling part for me and a lot the people in the group is the notion of being more productive at work,” says Geoff Woo, co-founder and CEO of Nootrobox. They might be on to something. 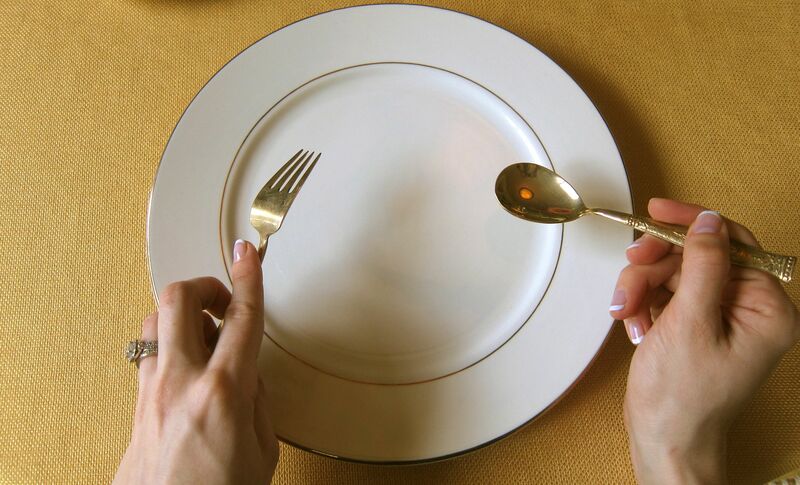 Studies have found that different forms of fasting can have a powerful effect on the human body. They result in a vast array of changes, at a cellular level, affecting many metabolic systems, such as fuelling the brain and the way the body deals with stress. And while the evidence of the impact on work performance is anecdotal, many people who adhere to fasting regimes – such as those in the WeFast community – report that they experience a heightened sense of alertness – similar to a runner’s high. Laboratory studies suggest that biochemical changes in the brain could be the root cause. Mark Mattson, a professor of neuroscience at Johns Hopkins University, says his research suggests they lead to improved cognitive abilities. It is thought that people experience a greater sense of wellbeing when they start to burn body fat instead of carbohydrates from food, for energy, says Dr Eric Verdin, a researcher at the Gladstone Institutes, San Francisco. It is a process known as ketosis. So what about hunger pangs, irritability or feeling 'hangry'? Well, it might be tough at first, but your body does adjust. “When someone who has never fasted starts fasting, they will experience light-headedness and discomfort,” explains Dr Verdin. “However, upon repeating fasting there’s a change in the metabolism of the whole organism and an adaptation. This adaptation is, we think, one of the reasons why one becomes better and better at fasting over time, to the point that, after the fourth or fifth fast, people feel much better than they felt when they weren’t fasting." However, fasting isn’t safe for everyone, especially women who are pregnant or breastfeeding, people with diabetes and other metabolic disorders. When the body is already under stress, and normal functioning is compromised, limiting nutrition could make matters worse. For anyone considering trying this ‘biohack’, it’s best to speak to your doctor first.